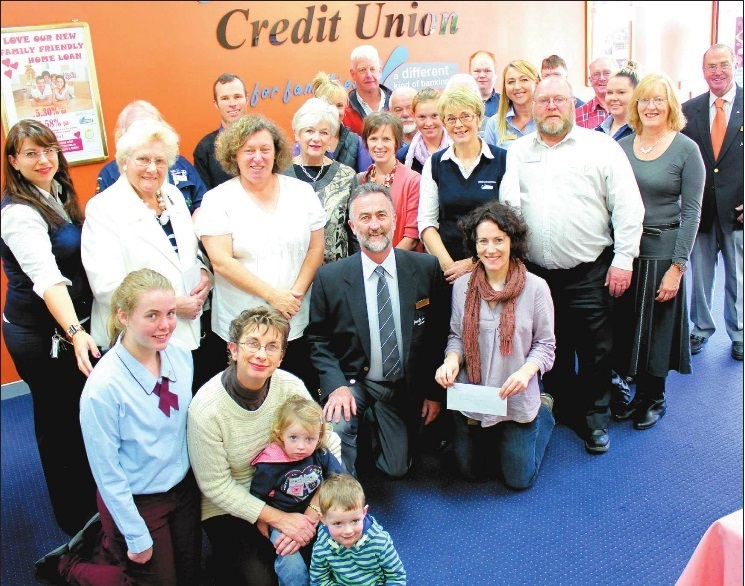 Community groups from Mudgee, Rylstone, Kandos, and Gulgong were given a small but significant financial boost on Tuesday as Family First Credit Union presented their annual community grants. A morning tea set up in the Mudgee branch allowed groups to tell of how their granted money will fund certain projects or maintain services within the region. More than $7000 was presented between 23 recipients. 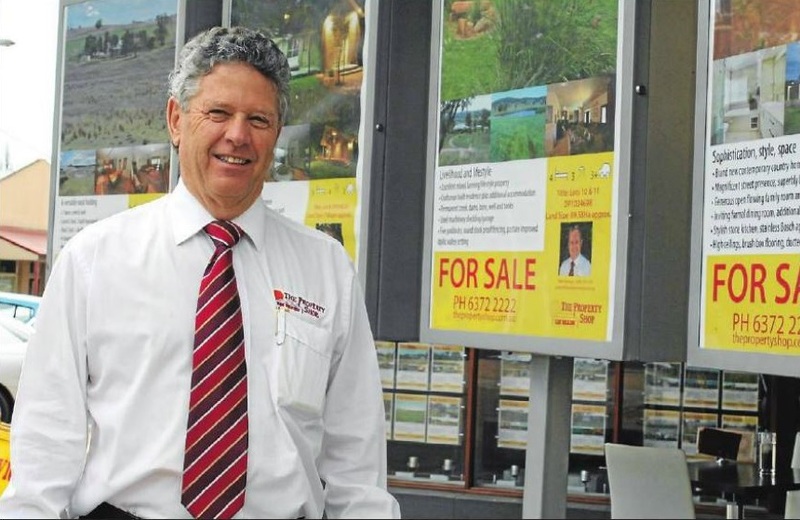 Family First Credit Union director, Colin Lenten, said 25 applications were made for Mudgee’s 2013 Community Support Program and it was pleasing to see the donated money will go to great use. “These are a great bunch of people who I all know will benefit from ‘this extra financial boost,” he said. ‘Each of these recipients understand whilst the donations arc nothing huge, it certainly helps a little. Long serving members of the Mudgee Volunteer Rescue Squad, Errol Grieve and Geoff Hawes, said volunteering is about giving back to the community. May 13 to 19 is National Volunteer Week when the community says thanks for the contribution of the 6 million-plus Australians who dedicate their time to others. There are any number of reasons to become a volunteer. Long serving member of the Mudgee Volunteer Rescue Squad, Errol Grieve, said “My belief is everyone owes something to their community”. 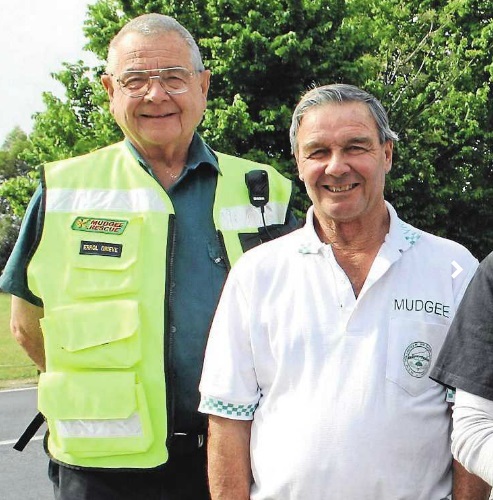 Mudgee Volunteer Rescue Squad President, Geoff Hawes, said: “You can volunteer for all sorts of different things in the community and it all makes a difference”. heard this crash on Sunday afternoon. 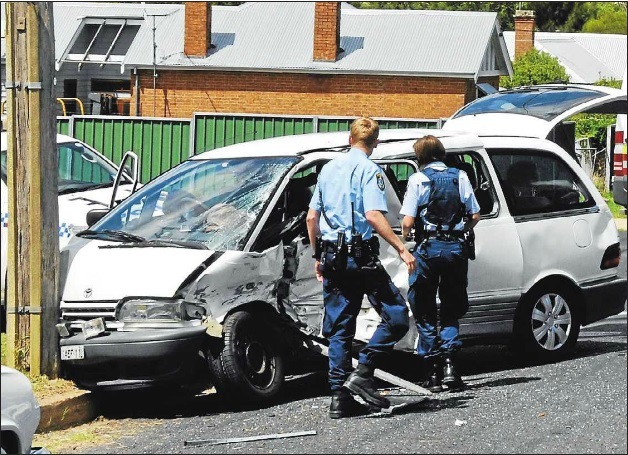 Police said failing to properly navigate a give ay sign ended in a two-vehicle crash on the corner of Mudgee’s Douro and Nicholson Streets on Sunday afternoon. At about 2.15prn a Toyota Tarago was heading west along Nicholson Street when it failed to navigate a give way sign and collided with a vehicle leading north along Douro Street. The Tarago (ended crashing in to a telegraph pole on Nicholson Street. 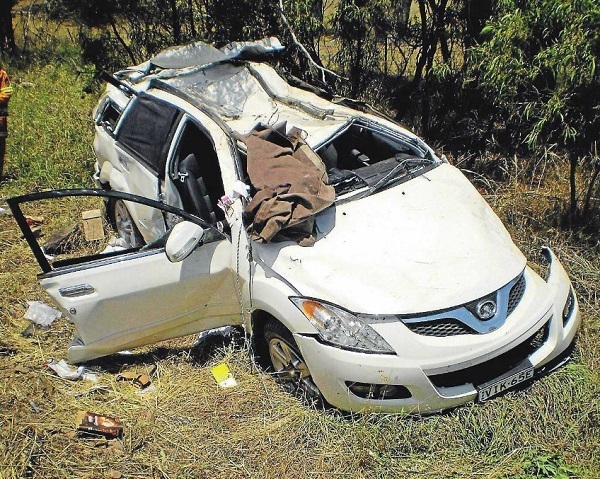 The passenger of the Tarago was injured and taken to Mudgee Hospital. Emergency services attended the scene including Mudgee Police and paramedics. Mudgee Police issued an infringement notice to the driver of the Tarago. Mudgee Rescue Squad VRA attended to this accident. NEW TOOL: Mudgee Rescue Squad member Colin Ratcliff and fellow Squad member and St John’s trainer Gwendy Cooper pictured with the latest addition to their inventory a lifesaving G5 Defibrillator. The Mudgee Rescue Squad has a vital piece of new equipment, a Lifesaving G5 Defibrillator. The $4100 machine was obtained by the Squad after they successfully applied for the “Defib Your Club, For Life!” program which, provides the defibrillator at no cost to the organisation. The Squad is required to be self funded and responsible for the procurement and maintenance of all its equipment, so it fit the criteria for the program. Colin Ratcliff of the Mudgee Rescue Squad said the defibrillator was a critical tool when the squad can he called to all corners of the region and another machine may not be available. “To have a defibrillator on our truck is a vital and welcome addition to our inventory,” he said. “Not the least because our volunteer base is made up of a significant number of senior members that, while fit and active, aren’t getting any younger. “The role of the Mudgee Rescue Squad per-forms is often in high stress circumstances and often in remote areas of the district. 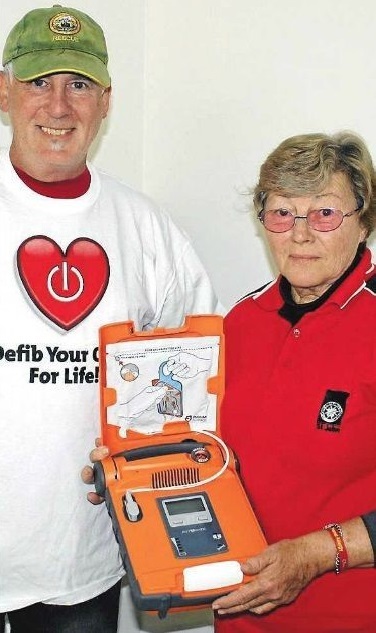 “In the case of a fatality the NSW Ambulance Service leave the scene to get back to town for stand by duties, leaving the squad and many other emergency service personnel without access to a defibrillator.” The ‘Defib Your Club, For Life!” program was founded by Andrew White and Sue Buckman. Mr White, a paramedic, was off duty at a football match when Ms Buckman’s 19-year-old son Stephen collapsed and died of cardiac arrest, A defibrillator wasn’t available for 22 minutes. If one had been available in five minutes it could have been a different story. The driver of a four-wheel-drive was taken to Orange Base Hospital after their vehicle rolled at Apple Tree Flat when leaving Mudgee late Sunday morning. The vehicle was travelling south along the Castlereagh Highway about 13krns outside of Mudgee when it went to the wrong side of the road onto the side and rolled. The driver was the only occupant of the Great Wall four-wheel-drive wagon in the crash, which occurred at around 11.45arn on Sunday, January 13. 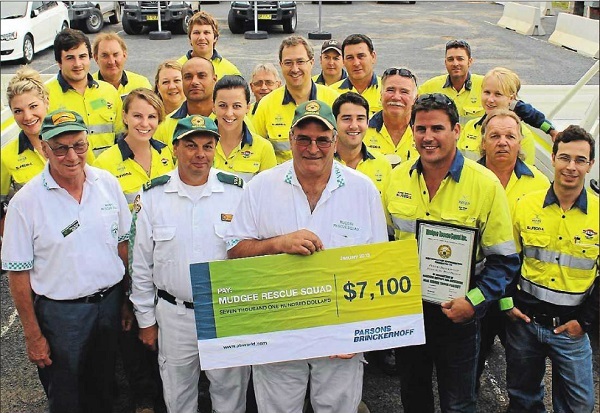 Congratulations Mudgee ” Rescue Squad truck delivered after less than a year”. 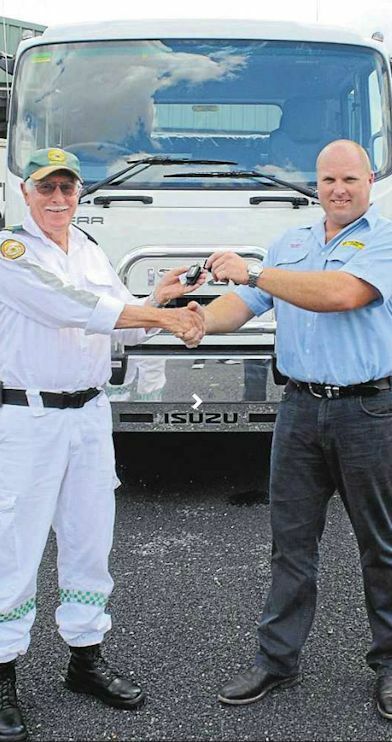 KEYS PLEASE: Mudgee Rescue Squad Captain Brian Wells receives the keys to the Squad’s new truck from Tracsery Truck Sales Consultant Daryl French. The Mudgee Rescue Squad saw the fruits of its campaign on Tuesday when the new truck arrived in the depot driveway. After a few drives and taking the time to admire it, the truck was off to Complete Steel for work to start on the new back. The squad hopes to have the new vehicle on the road by mid-March. 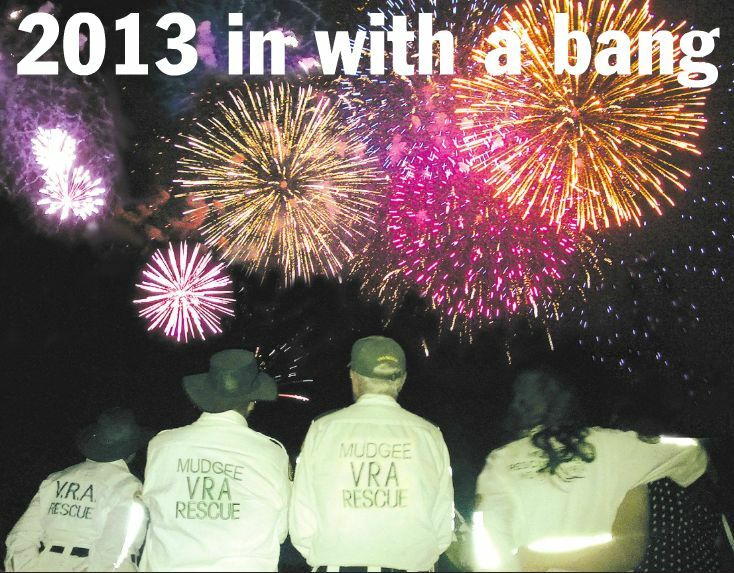 Mudgee Rescue Squad President Geoff Hawes said, “it’s very exciting to see the culmination of a year’s fundraising”. “We’d like to say thank you very much to the people of Mudgee and the district and all of the organisations that have been associated with the fundraising.” He said the group hadn’t expected to raise the money and take delivery of the new truck less than a year after the fundraising began. “We were looking at about June this year before we would even be close,” he said. SAVING LOCALS: Parsons Brinckerhoff employees at Ulan West donated more than $7000 towards the Mudgee Rescue Squad’s new truck. The official donation was made on Thursday to Squad members Doug Brigg, Garry Dollisson and Wayne Joseph. Mudgee Rescue Squad’s new truck arrived recently and official donations are still coming in. On Thursday Parsons Brinckerhoff employees at Xstrata Coal’s Ulan West Project presented $7100 to the Mudgee Rescue Squad. 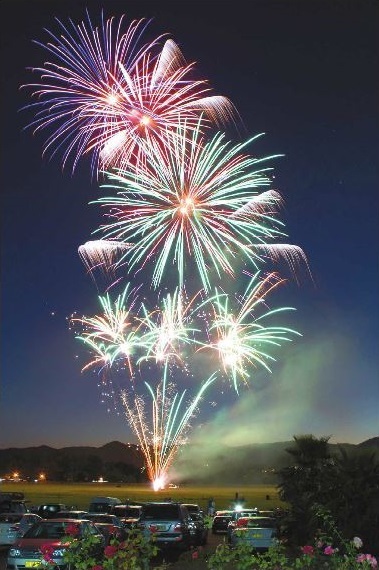 Parsons Brinckerhoff’s Ulan West Project Manager, Jeff Boylan, said the Mudgee Rescue Squad was the employees’ chosen charity for 2012.